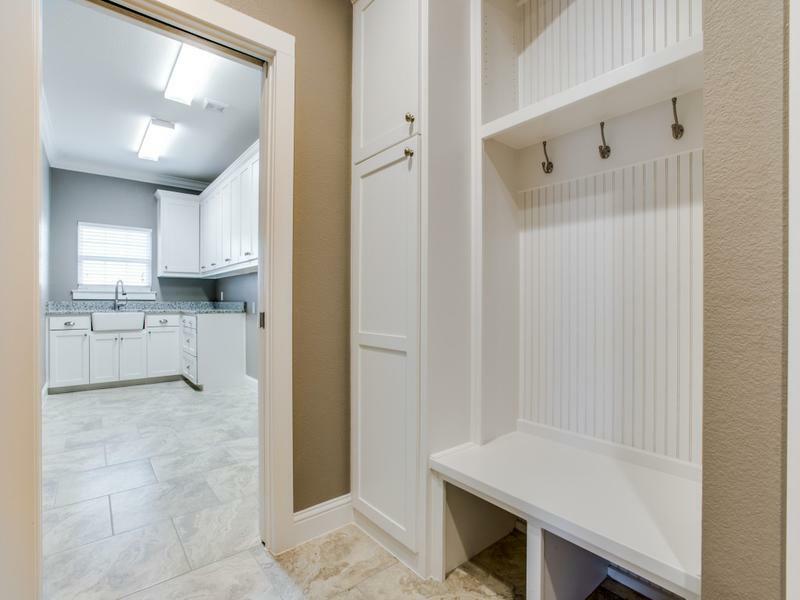 Blog Where Should a Mudroom Go? A coat closet was once the primary place for storing coats and other items when you returned home. With modern families’ needs and schedules, a mudroom is often a more convenient choice. It preserves your floors when everyone removes their shoes by the door, and everything is kept in a convenient spot. So where should a mudroom go? Not all homes are designed with this space in mind. Whether you want to remodel your existing home or build a new home, putting in a mudroom takes careful planning. Here are a few suggestions to help you decide where your mudroom should go. A mudroom is most useful when it’s located where you’ll use it the most. For many families, the back door or garage is the most used entrance to the home. If these are two different entrances, you might try to position your mudroom to accommodate both doors. You’ll be able to use it both when you’re coming in from the yard and when you’re unloading a car full of groceries. Every family has different needs, so the most useful mudroom can account for your family’s uniqueness. If your kids are involved in sports, a mudroom near the laundry room makes it easy to put dirty clothes in the wash. If you spend a lot of time gardening, a mudroom with a utility sink will come in handy. So, where should a mudroom go? It depends on your family’s needs and your intended purpose for the room. There are always things you need to take with you when you leave the house, such as coats, shoes, keys, backpacks, purses, and strollers. A well-designed mudroom should be big enough to easily accommodate your storage needs. There should be a place for shoe storage, and a small bench or stool to sit on while putting on shoes. Cabinets or shelves with bins and hooks for hanging items can help make your life easier and cut down on the mess. It’s generally best to have your mudroom near entrance the family uses most, but this isn’t always the same door your guests will use. A small mudroom station by the front door can be useful, especially if you don’t have a convenient coat closet. Provide some coat hooks, a hall table for guests to set down purses and other belongings, and somewhere to sit while removing or putting on shoes. Whether you’re considering a minor remodel, a major redesign, or building a whole new home, put some thought into the features that your family uses daily. Look around at the available space and ask yourself where a mudroom would make the most sense. A good mudroom can mean the difference between a clean, well-organized home and a cluttered mess. Take the time to plan a mudroom your family will find both convenient and useful. Are you wondering where other people put their mudrooms? Browse through our project photos and take a look!